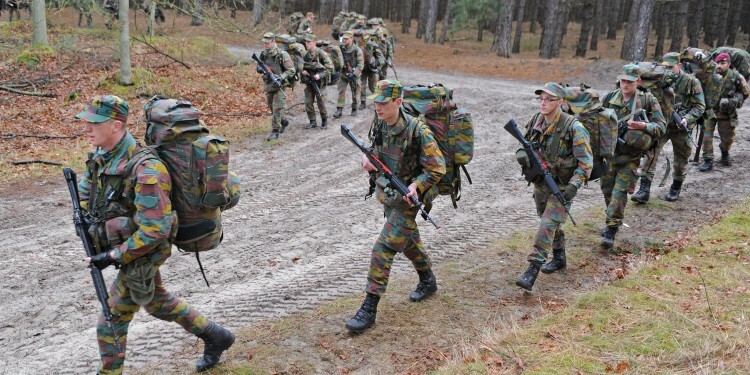 Abstract – Since January 2014, the Belgian defense has been recruiting at two different levels, after the modification of the statute of the soldiers. On the one hand, defense maintains a professional status (contract until pension), on the other hand it provides to some soldiers a contract for a period up to eight years (BDL). After two years it was time for a mid-term review of the implementation, and as member of EUROMIL, ACMP-CGPM consulted European colleagues by phone to inquire about their recruitment policies and the types of contract they offer to young soldiers in the respective armed forces. Netherlands (AFMP), Germany (DBwV), Ireland (PDFORRA) and Denmark (HKKF) contributed with their knowhow to the inquiry and ACMP-CGPM thanks them warmly. The results of the comparison were comprised in an article published in Dutch and French in the January 2016 issue of ACMP-CGPM’s monthly magazine “De Schildwacht / La Sentinelle”. The original text is available in Dutch and French. For further information please contact ACMP-CGPM.